Green Acres Pool Place is dedicated to providing our Cartersville customers with the very best swimming pool and hot tub chemicals on the market. That’s why we carry poolife® Exclusive Pool Care Collection, Baquacil®, BAQUA Spa® and Brilliance® for Spas brand chemicals. The health, quality and clarity of your pool and hot tub water is our number one concern, and we’re confident the innovative products from these brands will keep your water crystal clear and clean. For more information about these fine brands or products, please read on or stop by our Cartersville showroom to learn from the Green Acres Pool Place professionals. 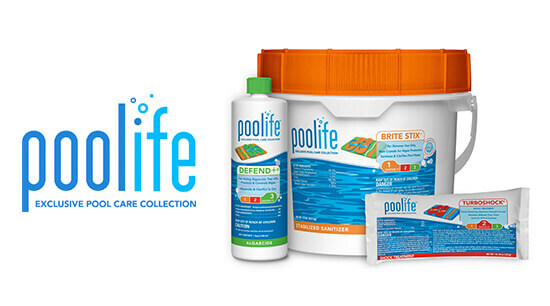 With the poolife® Exclusive Pool Care Collection, it’s not just a pool… it’s a lifestyle. The poolife® brand offers a full line of premium pool care products and systems that make pool care simple. Get the most out of the swim season by spending less time on pool maintenance. Have a Happy Pool. Happy Life.® with poolife®. 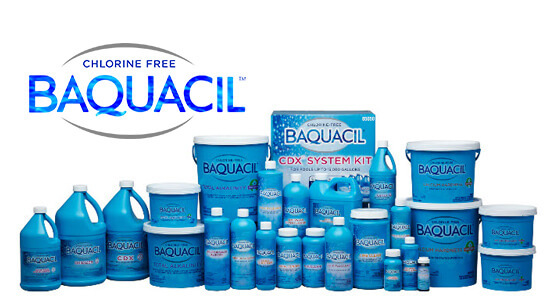 The BAQUACIL® Pool Care System is an innovative chlorine-free system that protects your pool against bacteria and algae. Gentle to the skin, eyes and hair, the BAQUACIL® brand lets you feel secure in knowing you’re not only doing something good for your pool, but good for your family, too. Spa care simplified, your time multiplied! That’s the advantage of a chlorine-free, bromine-free BaquaSpa® system for your spa care routine. When you add it all up, the results are always the same – water that feels fresh and soft on your skin in mere minutes. 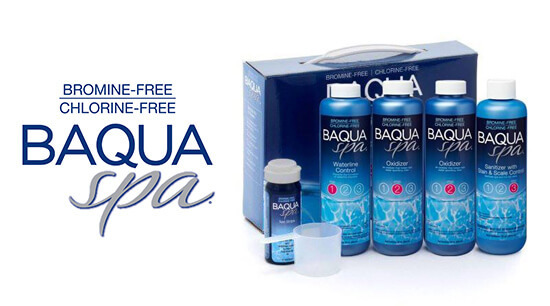 Start spending less time on your spa and more time in it with BaquaSpa®! Experience brilliantly clear water with less odor and irritation to skin and eyes with the Brilliance® for spas system. 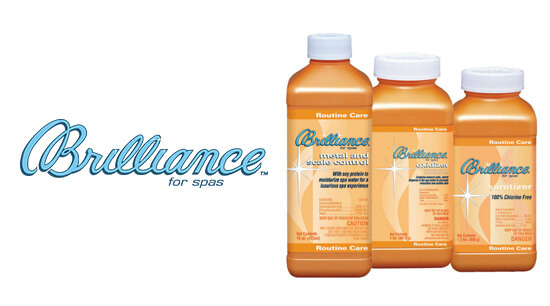 In just 3 easy steps, this bromine-based spa care program produces clean, clear water.